Islamist terrorists killed 16 at nursing home. (Morning Star News) – A Catholic priest kidnapped in Yemen almost 10 months ago appealed for help in a video released this week by a terrorist group. The Rev. Tom Uzhunnalil was kidnapped on March 4 in Aden, Yemen when a group of militants, thought to belong to an offshoot of the Islamic State (IS) movement, killed 16 people in an attack on the Aden Care Home, a nursing home facility. Uzhunnalil then went on to say he felt abandoned by his religious leaders and claimed that if he were a priest of European descent, his captivity would have been taken more seriously. The priest is a native of India. Bishop Paul Hinder, the apostolic vicar of southern Arabia, told Morning Star News that Uzhunnalil appeared to be under duress when the video was made. “Listening to the video, I got the impression that it has been produced under extreme pressure on Father Tom,” Hinder said. He declined to comment further, citing ongoing efforts to secure Uzhunnalil’s release. “It is part of the nature of such dramatic events that the steps undertaken cannot be revealed until their goal has been reached,” he said. “Pope Francis made a heartfelt appeal to the kidnappers to release Father Tom on Sunday the 10th of April 2016, ‘In the hope given us by the Risen Christ, I renew my appeal for the liberation of all persons seized in areas of armed conflict: in particular, I desire to remember the Salesian priest, Tom Uzhunnalil, kidnapped at Aden in Yemen this past March fourth,’” the statement read. The statement also mentioned the midnight Christmas Mass at the Cathedral Parish of St. Joseph’s in Abu Dhabi, where the bishop and tens of thousands gathered and prayed in silence for Uzhunnalil’s safety. On March 4 at approximately 8:30 a.m., a group of militant Islamic extremists entered the nursing home in Aden and killed 16 people. The Catholic news site Crux reported that the single survivor of the attack, a nun known as Sister Sally, said the gunmen first killed a guard and a driver at the home and then moved on to the four nuns. The militants then “tied them up, shot them in the head and smashed their heads” as others in the home screamed for the militants to show the nuns mercy, according to Crux. The slain nuns were identified as Sister Anselm from India, Sister Judith from Kenya and Sisters Marguerite and Reginette from Rwanda. The surviving sister escaped the attackers by hiding behind a door in a walk-in refrigerator. During the attack, Uzhunnalil rushed to the chapel tabernacle in an attempt to consume all the sanctified hosts used in Communion, apparently to keep them from being desecrated, before he was abducted. The militants then set about destroying all the Christian symbols and liturgical articles in the tabernacle. The entire attack and kidnapping lasted 90 minutes, according to the nun. Since the kidnapping, essentially no information about the safety or whereabouts of Uzhunnalil has been available. Weeks after the kidnapping, Archbishop of Vienna Christoph Cardinal Schonborn claimed publically that Uzhunnalil had been crucified on Good Friday. Photographs, allegedly of Uzhunnalil’s corpse, were circulated as evidence of his death, but research by Morning Star News showed the photos were actually from the funeral of another priest in the region who had just died. According to indigenous missions support group Christian Aid Mission, .2 percent of Yemen’s 27.4 million people are Christians. Yemen consistently places high in studies ranking countries for their mistreatment of Christians. Plagued by low-intensity conflicts for years, the country plunged into a full-scale civil war in March 2015 along Shia and Sunni lines. Several terrorist groups, including IS and Al-Qaeda in the Arabian Peninsula, have taken advantage of the power vacuum that exists in the country and have set up bases of operation. 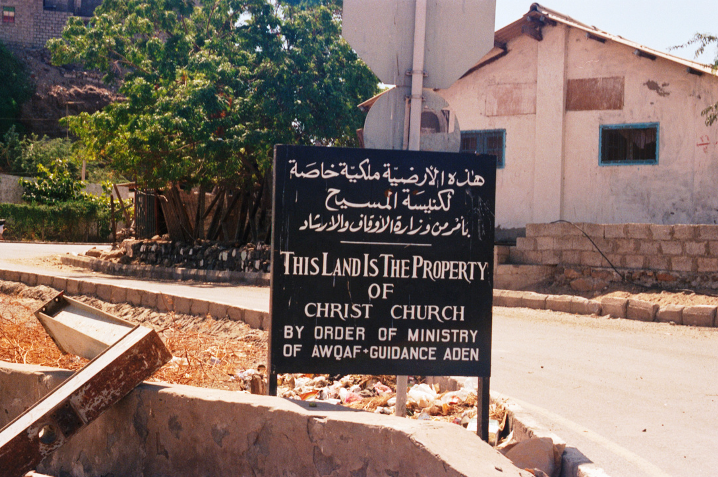 ADEN, YEMEN (ANS – March 18, 2016) — A lone surviving nun is telling the world her personal account of a recent Yemen massacre she witnessed in a chilling handwritten letter. According to CBN News, a peaceful morning on March 4, 2016, at a Catholic nursing home in Aden, Yemen, suddenly turned into 90 minutes of horror as men, believed to be Islamic State (ISIS) jihadists, raided the facility with the intent of murdering every nun and volunteer there. According to reports, the nuns were first handcuffed and then shot at point blank range. The superior, Sister Sally, who hails from Kerala, India, survived after she hid herself from the gunmen after a guard sounded a warning cry about the attackers. Sister Sally is the only eye witness to the event. She recounted her story in a conversation with another nun, Sister Rio, who then wrote down her account in a memorandum. According to India-born Sister Sally, the assailants stormed the facility on the morning of March 4 after the nuns and volunteer aids had their usual breakfast and prayer time. Armed terrorists dressed in blue stormed the compound at 8:30 a.m.
“Ethiopian men (Christian) began running to tell the sisters ISIS was there to kill them. They were killed one by one,” Sister Sally recalled. Another 12 others at an elderly facility were also brutally slaughtered. The bloody scene after the attack. “The [Islamic State] ISIS men were everywhere, searching for her and even entered the refrigerator room at least three times without finding her,” Sister Sally witnessed. “The terrorists murdered every other nun and any volunteer aids they could find. After the rampage the Islamic extremists destroyed all religious articles and Christian symbols at the facility,” CBN went on to say. “The martyred nuns were Sister Judith from Kenya, Sister Anselm from India, and Sister Marguerite and Sister Reginette from Rwanda. They were all associated with Members of the Missionaries of Charity, an order founded by Mother Teresa. The murdered sisters had left their homes in India and Africa to serve the poor, elderly, and disabled in the war-torn country of Yemen. They worked together with volunteers at the convent’s home care center, where they served around sixty to eighty patients of all religions. “They were serving all poor people irrespective of their religion. Their duty was to help the poor,” a representative from the Apostolic Vicariate of Southern Arabia told the Catholic News Agency (CAN). Sister Sally and her community are still grieving the victims’ deaths but say they have “fully surrendered” to the will of God. Elderly survivors of the gruesome attack. According to PressTV (http://www.presstv.ir), no individual or group has so far claimed responsibility for the carnage, but sources close to Yemen’s fugitive former President Abd Rabbuh Mansur Hadi blamed it on the Islamic State [Dae’sh] (IS) terrorists. Yemen has been under Saudi airstrikes on a daily basis since the regime in Riyadh launched its military aggression against the impoverished country in late March 2015, in a bid to undermine the Houthi Ansarullah movement and restore power to Hadi, a staunch ally of Riyadh. Exploiting the chaos in Yemen, Islamic State (Dae’sh), which is mainly operating in Syria and Iraq, has been able to infiltrate the country. The Yemen-based al-Qaeda in the Arabian Peninsula (AQAP) has also taken advantage of the volatile conditions and the breakdown of security in Yemen since the beginning of the Saudi war to tighten its grip on parts of southeastern Yemen. Please faithfully remember Sister Sally’s prayer request. In a heartbreaking report from Fides, the Mother Teresa Sisters killed in Aden were described as being loved by the locals and admired for their love of serving those most in need, regardless of their faith. Bishop Paul Hinder OFMCap, Vicar Apostolic for Southern Arabia, told Fides, suggests this could be the root of the hatred, “diabolic hatred”. The affection the locals had for the Sisters could be the precise reason behind the massacre last Friday in the port city of Yemen. Four Catholic Sisters serving at Missionaries of Charity, which was founded by Mother Teresa of Calcutta, were slaughtered together with 12 other helpers and the elderly and disabled people whom they assisted at the Mother Theresa Home. Photos show that the Sisters were wearing kitchen aprons at the moment of the killing over their religious habit. Bishop Hinder confirms that nothing is known of the whereabouts of Salesian Father Tom Uzhunnalil, who was at the residence when the terrorists attacked. The Bishop said, “We imagine he is still being held by the assailants, Yemen bureaucracy keeps searching for him but so far with no result.” The only survivor, Missionaries of Charity local Mother Superior, Sister Sally who is also an Indian from Kerala is preparing to depart. A year ago when country war broke out between government troops and Huthi rebels, Bishop Hinder remembers discussing with the Sisters the risks of remaining in such a dangerous scenario. “They told me there was nothing to discuss: they would not leave whatever happened, because they wanted to stay with the people entrusted to their care. It was clear that on the part of the Sisters this was no exhibition of heroism, it was purely their desire to follow Jesus Christ. I respected the Sisters’ decision, and am convinced that their martyrdom will bear fruit also for the lives of other Christians living in the Arabian peninsula”. Yemen: Catholic Church Attacked, Plundered by Houthi Rebels? At this time, no other Arabic or news sources are mentioning this incident. The Houthis are a Shia-affiliated rebel group operating in Yemen.